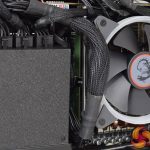 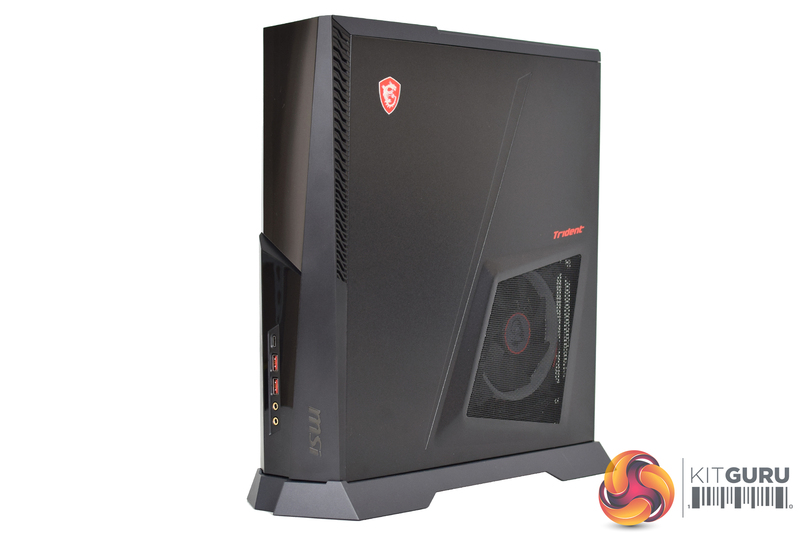 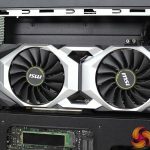 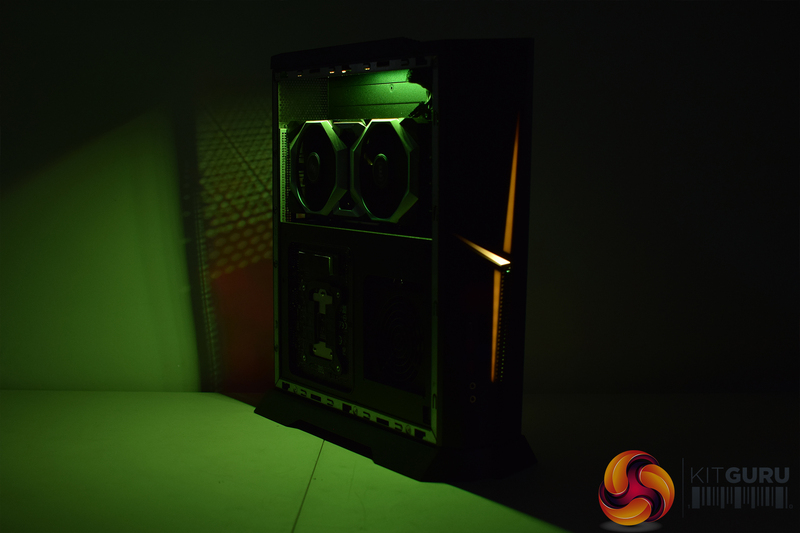 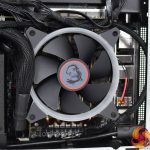 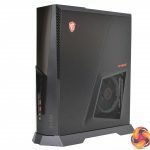 MSI’s Trident line of PCs has been around for some time now, and it is known for cramming the latest hardware into very small packages. 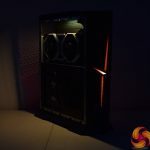 That is exactly what we get with the Trident X we are reviewing today, as it uses both the Intel i7-9700K and Nvidia RTX 2080, in a case that has a total volume of just over 10 litres. 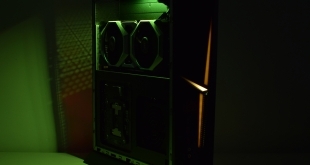 For £2699, what compromises – if any – have been made, and is it worth buying? 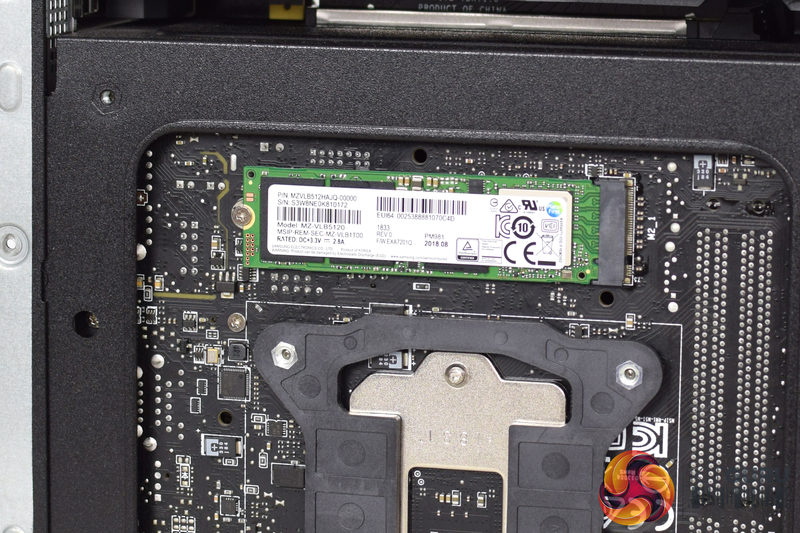 The first thing you will notice about the MSI Trident X is just how diminutive it is. 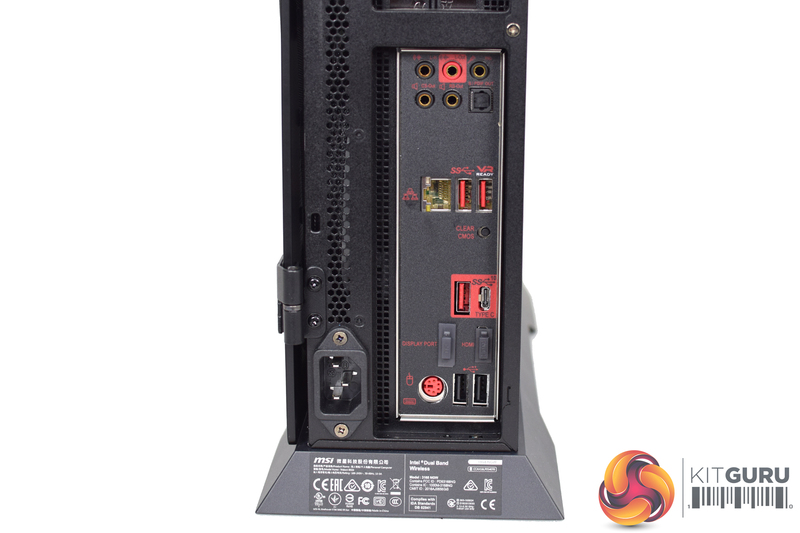 Measuring 129.74 x 382.73 x 396.39 mm, it is not even 13cm across and sits under 40cm tall. 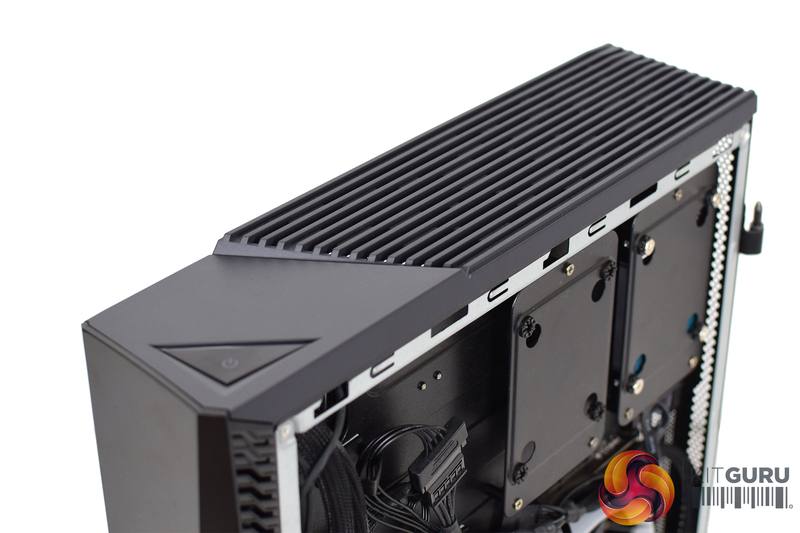 For comparison’s sake, the Xbox One X measures 299.97 x 239.77 x 59.94 mm, so the Trident X is still bigger across every dimension, but for a gaming PC with this kind of power, it is impressively compact. 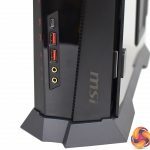 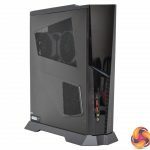 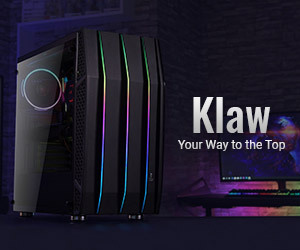 That being said, you do have to stand the case upright on its little stand – it would be nice to lay it flat and place it under a TV, for instance, and use it as a HTPC, but the way MSI has done the internal design, you would be cutting off airflow for either the CPU or the GPU/PSU if it was laid flat. 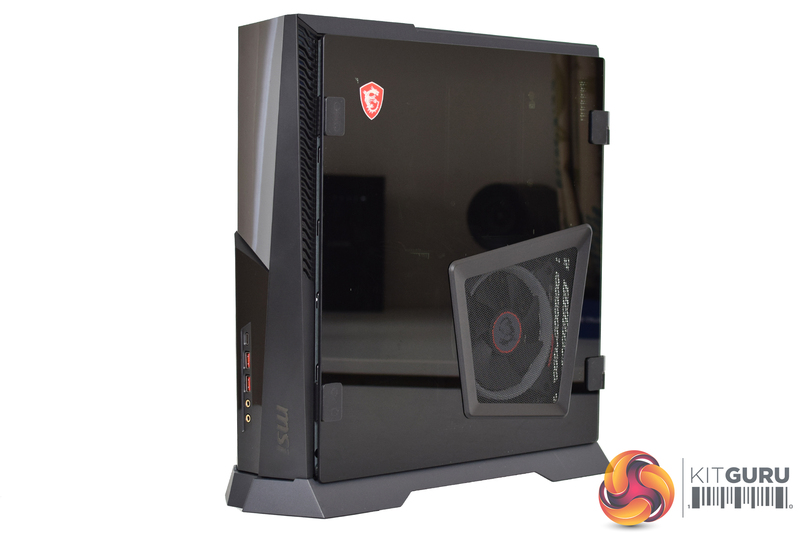 It is also worth noting MSI gives you a choice of side panels – steel or tempered glass, as you can see above. 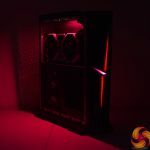 The tempered glass panel is even installed via a hinge, so it opens like a door, giving you an easy way to get into the system. 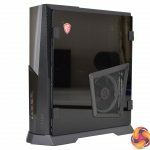 The thing I don’t understand, however, is why the tempered glass panel is a replacement for the panel on the right hand side of the system. 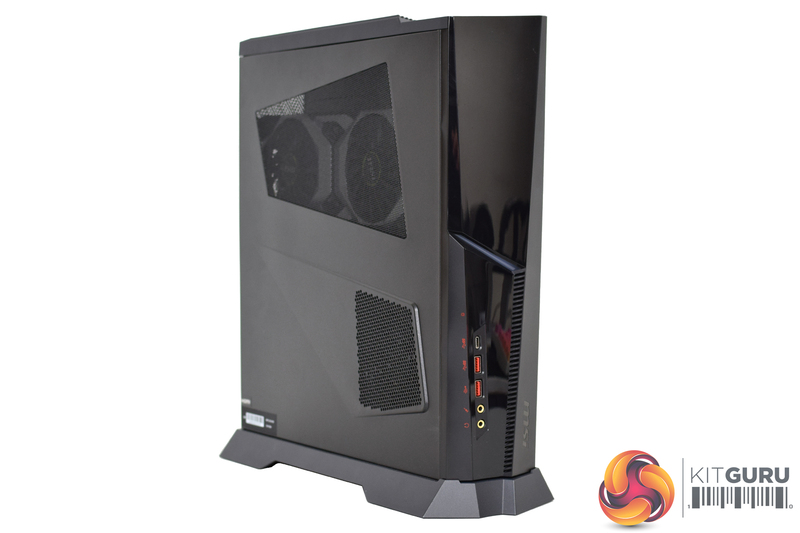 The majority of us sit our PC to our right, so it is logical the tempered glass should be on the left hand side of the system, allowing you to see inside while sat at your desk. 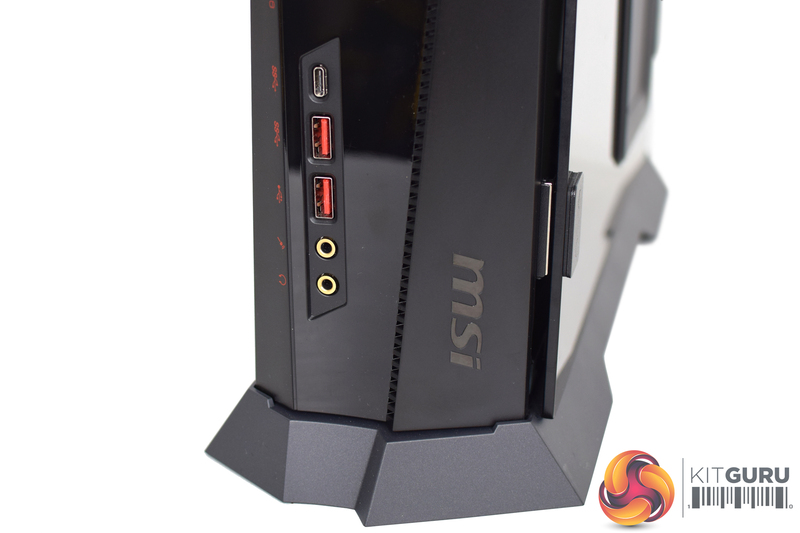 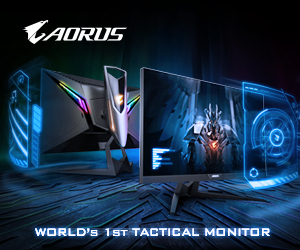 With MSI putting the glass on the right of the system, you’ll only see it once you get up and walk off. 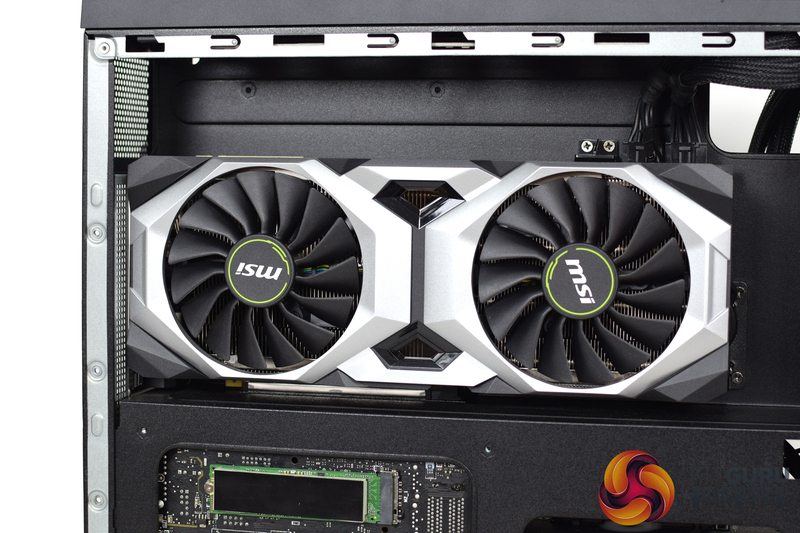 Once all the panels are off, however, we can see how MSI has laid out the internals of the Trident X. This machine uses MSI’s Silent Storm Cooling 3, so what that means is the core components (CPU and GPU) are housed separately, so one doesn’t heat up the other and vice versa. 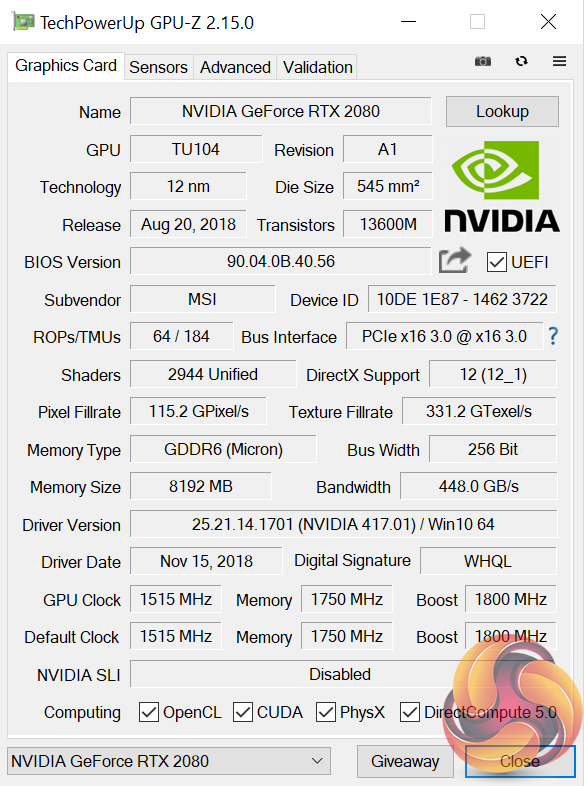 In practical terms, this means the RTX 2080 graphics card is positioned horizontally at the top of the left hand side of the system, connected to the motherboard via a PCIe riser, whereas the i7-9700K and Z370i Gaming Pro Carbon AC motherboard are at the bottom of the right hand side of the system. 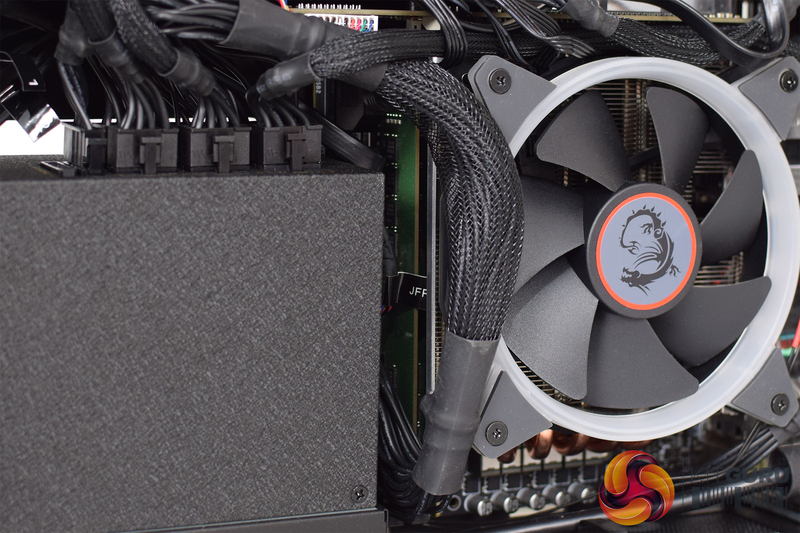 The power supply is positioned in the same chamber as the graphics card, with the fan facing outwards to draw cool air in. 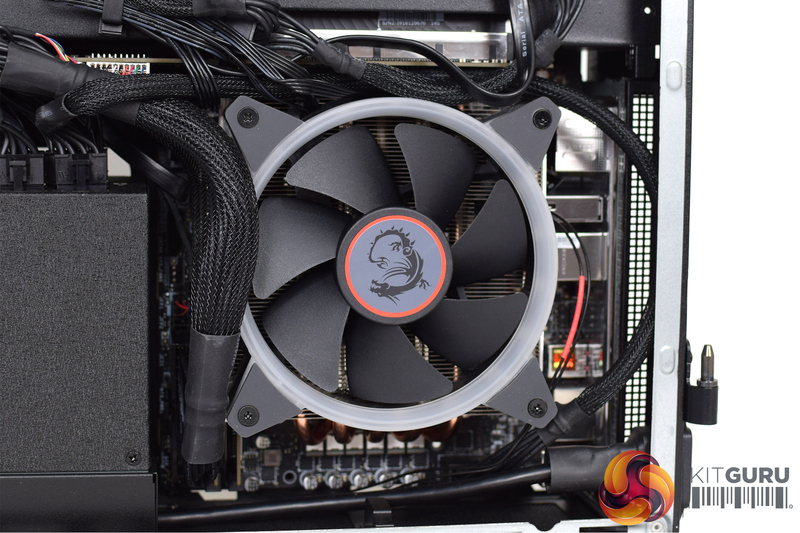 I think it’s overall a neat design and while the proof is in the pudding when it comes to thermals (which we will test later), it is a smart way of reducing the system’s overall footprint. 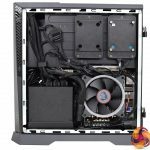 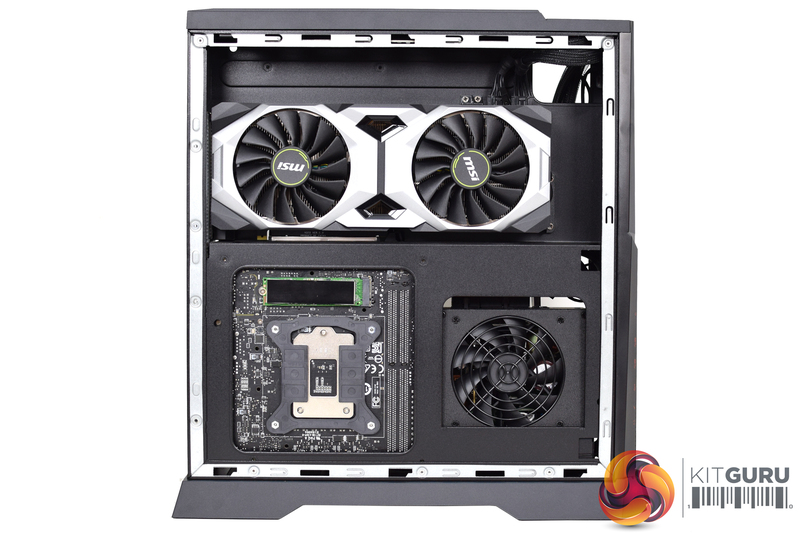 The components are all off-the-shelf parts, too, so you could upgrade them down the line to breathe more life into this PC, although due to the compact nature of the chassis, that would seem to be a bit fiddly. 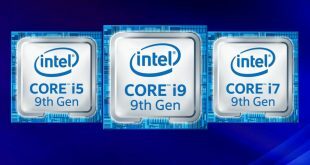 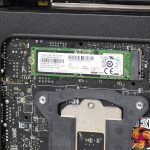 Other components we have not yet mentioned include a 512GB Samsung PM981 NVMe SSD – the OEM equivalent to the popular 970 EVO – as well as a 2TB hard drive. There’s also 32GB of 2666MHz memory, which sadly is of the plain PCB variety – meaning it is a fairly ugly green colour, though in fairness you can hardly see it thanks to the CPU cooler. 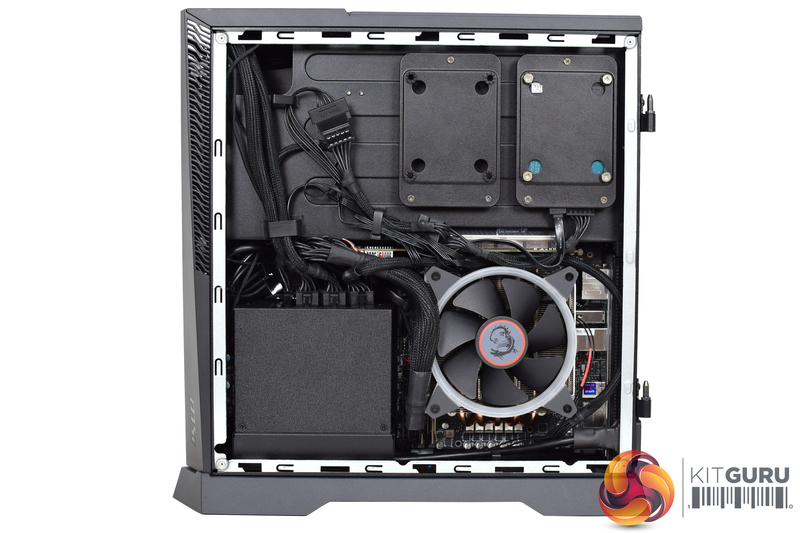 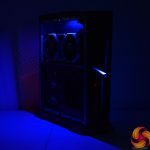 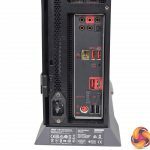 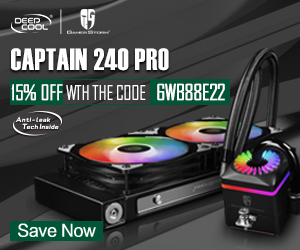 The power supply is a 650W SFX unit, rated 80+ Gold. 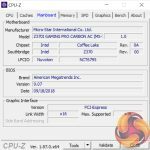 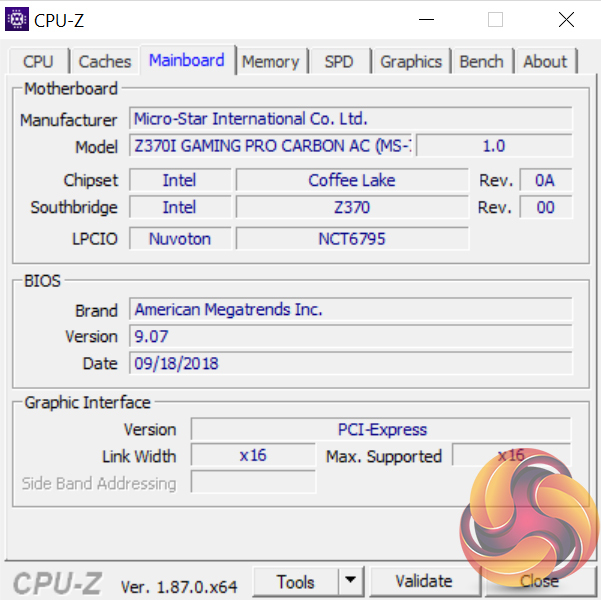 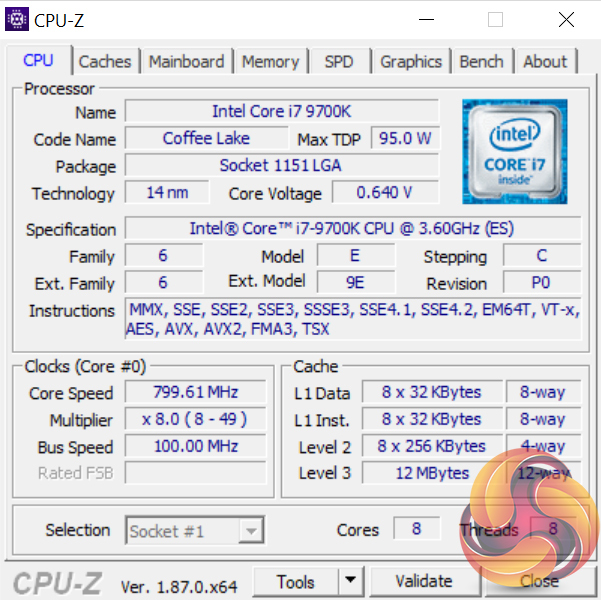 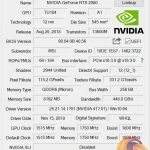 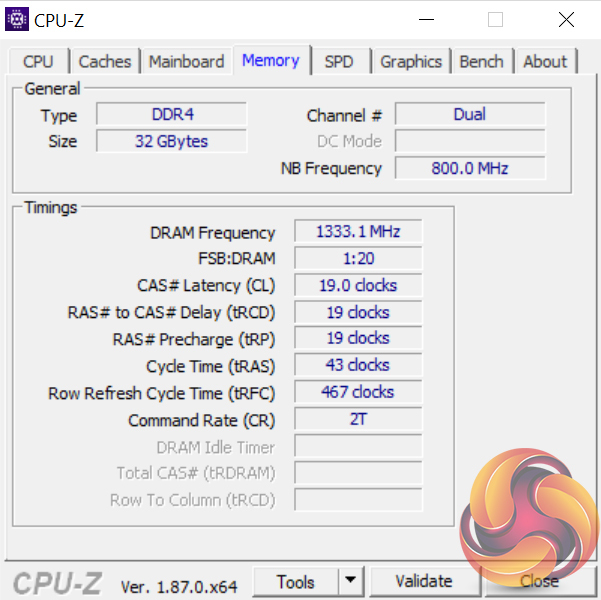 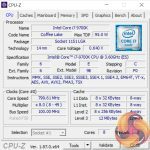 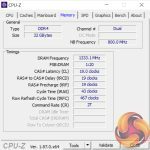 Following on from a look at the hardware, CPU-Z confirms our CPU is indeed the i7-9700K (8 cores/8 threads), with 32GB RAM at 2666MHz plugged into the Mini-ITX MSI Z370i Gaming Pro Carbon AC. 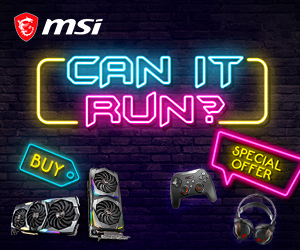 Our graphics card is MSI’s Ventus RTX 2080 model, with a rated boost clock of 1800MHz.